Desperate times call for desperate measures. Here we are, well into January already, and I still haven't reviewed seven of the books I read in 2017. So I'm lumping them all together in one big post and just sharing a few brief thoughts rather than long rambling opinions. Max received this book for the summer reading program and agreed to let me read it, too. Amanda and Abel are mice--but very sophisticated and refined mice. One day, they decide to go on a picnic in the woods. It is during the first year of their marriage, and they are still beautifully in love. Their sunny picnic takes a tragic turn when a fierce storm comes up and they're forced to find shelter. Amanda's scarf gets whipped away by the wind, and Abel, being the noble husband he is, rushes to save it and is consequently blown away by the gale. The rest of the book is a detailed account of how Abel, born and bread a city mouse, learns to survive in the wilderness and fight his way back to his beloved Amanda. "The state of his clothes disturbed him. Damp and lumpy, they no longer had style." "Abel allowed the compliment to stand. Looking at his own opus, he saw no reason to pretend modesty." We haven't read all of William Steig's books, but all of the ones we've read have been winners. When I mentioned that I wanted to try a new mystery series as part of my 2017 reading goals, Beth recommended the Daisy Dalrymple series, and I immediately put it on my list. 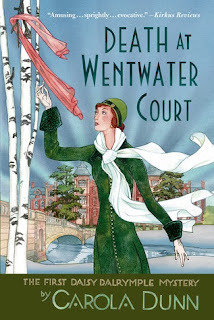 But then a Lord Peter Whimsy mystery went on a great Kindle sale, and Anne Bogel had said you could read that series in any order, so I was just planning on reading that one for my new mystery series. But then (this is all getting very dramatic), it was mid-December, and I thought I better get started on that mystery. I opened it up and realized (for the first time) that it was 500 pages. And I realized there was no way that was going to happen before the end of the year. So I went back to Daisy Dalrymple, which clocked in at a blessed 250 pages and the audio was available for immediate download on Overdrive, so I went for it. And I liked it. It was pretty much exactly what I like from a mystery: not too graphic, with likeable characters and the murderer being not too obvious but also not too not obvious (if you know what I mean). In this one, it also helped that the person killed was pretty horrid and despicable, which made you not feel too bad about him being dead. My one complaint (and this is a sad one) is that I didn't love Daisy Dalrymple. I kind of felt like she was always in the way and maybe begging (whining?) a little too much about helping with the case. I mean, she was the main character and all, so she had to get in on the action somehow, but she grated on me just a bit, but not enough to make me stay away from the rest of this series. But I think Dr. Sax would back me up on this one. I could write an entire blog post about this book, no problem. It's a frank, candid discussion about what is causing the culture of disrespect (as well as a host of other problems) in today's teens and young adults, and one of the causes is that parents are trying to be their kids' peers instead of their parents, and so their kids are looking for advice from their actual peers instead of their parents. And that's a big problem because, believe it or not, teenagers actually don't know everything. The thing I loved about this book though was that Dr. Sax didn't just focus on the problems but also gave three concrete solutions, which I'll share here. What do parents need to do to raise confident, kind, and respectful adults? That's it. 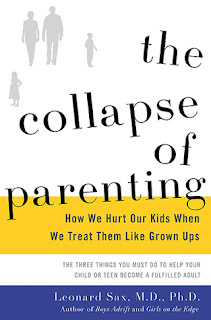 It's more of a big picture parenting book than "tips for dealing with tantrums," but I found it really enlightening and empowering. Oh this book. I'm embarrassed to even tell you that I read it. But someone had mentioned it on Instagram as a favorite holiday read, and I basically hadn't read any seasonal books in all of December (except to my kids), and it was a young adult novel (which I'd been trying to read more of this year for research's sake), and it was available for immediate download on my kindle, so . . . I picked it up. But I ended up finishing it because it was short and took place during Christmastime, which was fun. The one thing that redeemed it for me was that I didn't hate the writing. 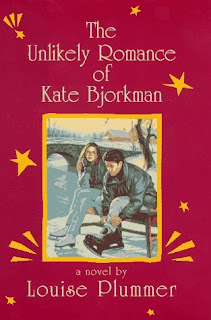 Kate Bjorkman has decided to write a novel about her Christmas romance, and this book is the rough draft with revisions and funny side notes and very stream of conscious writing. I actually thought it was pretty clever, so I'll give it a few points for creativity while admitting that the actual plot was rather shallow and silly. Some families do an annual reading of A Christmas Carol or The Gift of the Magi. 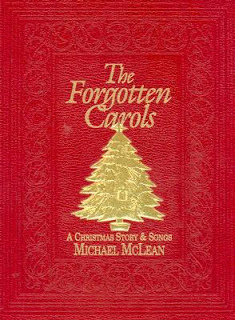 In my family, my dad always read The Forgotten Carols to us--a sweet story about an old man who shares his memories of Christmases past through a collection of forgotten Christmas carols. I have such fond memories of listening to my dad read to us while traveling in the car, always pausing to listen to the appropriate songs as they came up in the story. Since moving away from home, I hadn't read the story again, but this year, I finally decided to introduce the tradition to my kids. I'm not sure if we'll read it every Christmas (my guess is, probably not because I have so many books I want to read to them), but it brought back great memories for me. I found myself reading sentences with the same inflections and emphases as my dad, and it kind of felt like things had come full circle. I thought I was going to need one more quick read in order to meet my numbers goal for the year. 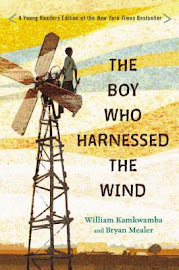 As it was, I ended up being fine, but I was grateful for the excuse to read this book. Picking up soon after her first memoir, Smile, left off, Raina shares her experience of a summer road trip with her family. 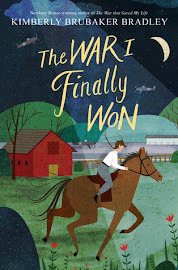 It's filled with sibling rivalries, the hurt of not fitting in, and a little glimpse of her parents' marital problems. Raina's books are a brilliant combination of text, illustrations, and perfect layouts. Truly, she's a master at this. One of my favorite spreads is when Raina is falling through space in a dream, wishing all of her family's problems would go away. She says, "Maybe if I wish hard enough, this will all be a dream . . . A dream where someone is going to put their arms around me and tell me . . . " [and then it flashes back to reality in a simple rectangle where they're all in a family hug] "'It's going to be okay.'" My kids need no pushing or encouraging when it comes to graphic novels. If they see one, they pick it up and read it. So I wasn't reading this book for more than ten minutes before Aaron was trying to steal it from me. Luckily, it's totally appropriate, and I even felt comfortable letting Bradley (age 6) read it, which he promptly did. I spent the entire year reading this book, which was my intention. My focus for the year was to channel my inner Marjorie Pay Hinckley. I wanted to figure out how she got to be who she was and how I could be more like her. This book was like a drink of cool water. I would dip into it for a couple pages and come away feeling invigorated and inspired. She truly was a remarkable woman who touched the lives of thousands. 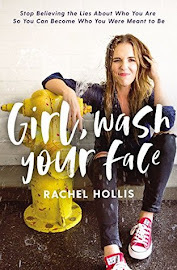 I still want to be like her, but reading this book made me realize I'm not her, and I never will be. We have different strengths and weaknesses, and our personalities are unique. That's okay. It was an interesting realization to me--that as much as I might want to be someone else, I am and always will be me. 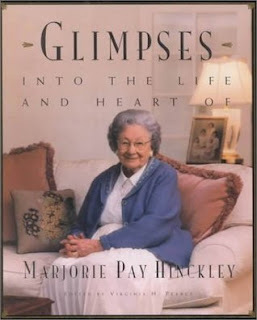 Marjorie Hinckley is a kind of mentor or hero for me. I want to take what I learned about her and apply it to who I am to make me who I want to be. Which books did you finish off 2017 with? 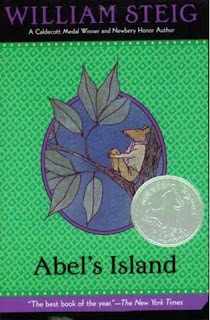 Okay, your review of Abel's Island is tickling something, like maybe I've read this book a long time ago and completely forgotten it? So, apparently I need to reread it. Even if I haven't read it before, it sounds completely up my ally. Also, I've been meaning to ask if you'd post a list of all the Christmas picture books you read with your kids. I know you did IG stories of them, but I'd prefer a blog post I can look up next year (please and thank you!). However, it's woefully out of date (I've added a lot more and purged the ones I don't love), so I definitely will try to do a new one in November! I also haven't gone wrong with Steig's children's books. Did you know he wrote the book Shrek is based on? It's not much like the movie though. I'm so glad you didn't hate the mystery. I really liked the setting, but I think it's better when you see more of London. I didn't read the first one until later in the series though. I am also a big believer in that parent doesn't equal friend, and that a parent should believe in their soul that "Because I said so" is a valid reason. It doesn't teach much, so I didn't always use it (I wanted my kids to see *why* I made a decision so that they'd be better at making their own decisions), but I expected them to honor it. Sharing books from your childhood with your kids is such a delight, isn't it? Especially sharing read-alouds. 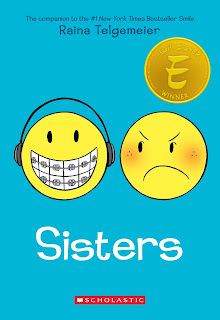 And I just realized that I never got my copy of Sisters back from my niece, so I haven't read it yet. I'm glad your inspirational book worked for you; I love books that inspire me to be a better me. I knew he wrote Shrek, but I've never actually read that one! Yes, I liked the setting too, but I'm excited to read some of the other ones! Oh it is! It's one of my favorite things about being a parent!